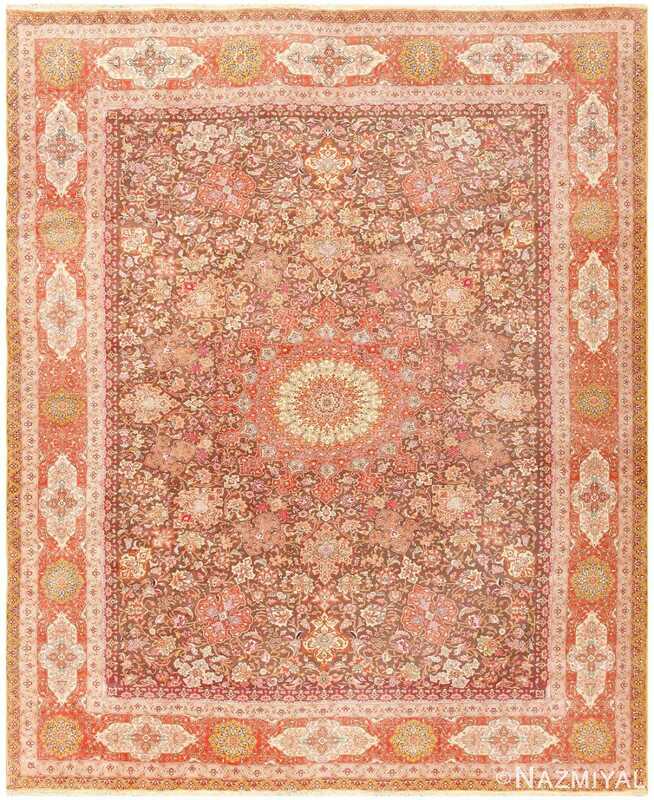 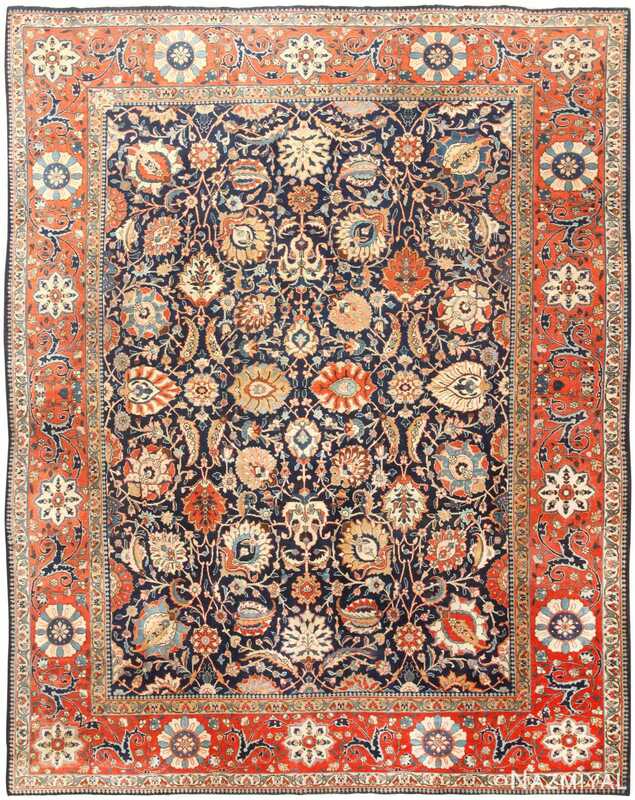 Room Size Silk and Wool Vintage Tabriz Persian Rug, Country of Origin: Persia, Circa Date: Late 20th Century — A vibrant kaleidoscope of fiery colors jumps to life in the intricate stitching present throughout this Tabriz rug. Rich tangerines, blushing pinks, smoldering reds and creamy beiges all dance within and around each other in a vivacious display of complementing and contrasting shapes. 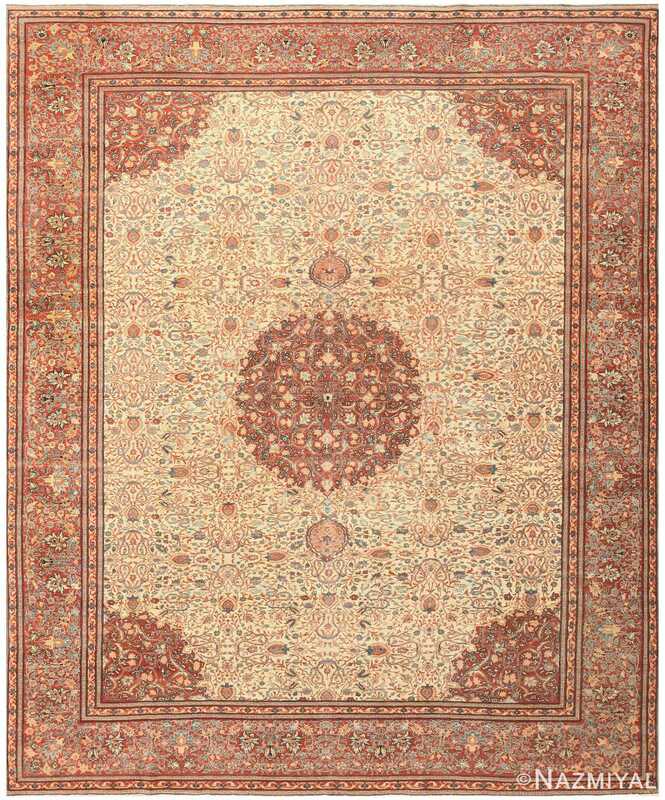 Floral elements and vines define the borders, while a wild scattering of distinct petals and blossoms grace the earthy brown background of the carpet’s center. 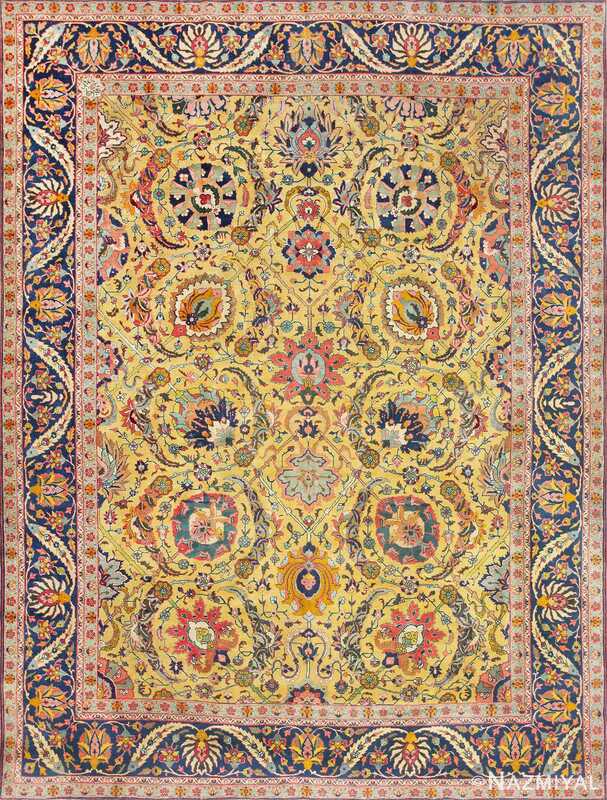 At the core of this vintage silk and wool Persian Tabriz rug is an Arabesque ring, appearing almost like a burning sun in its bright colors and the flickering pointed elements set along its edges and within its own borders.